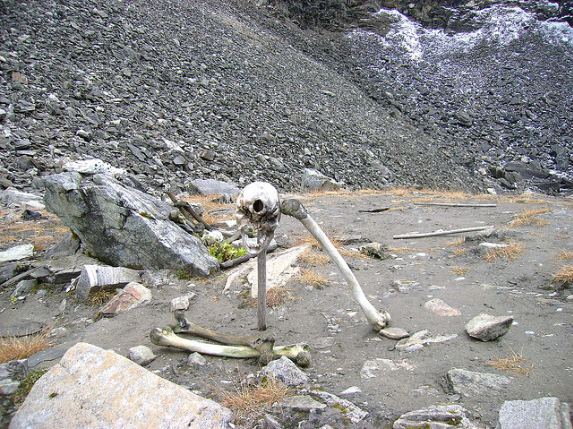 Roopkund - The Mysterious Skeleton Lake of India ! 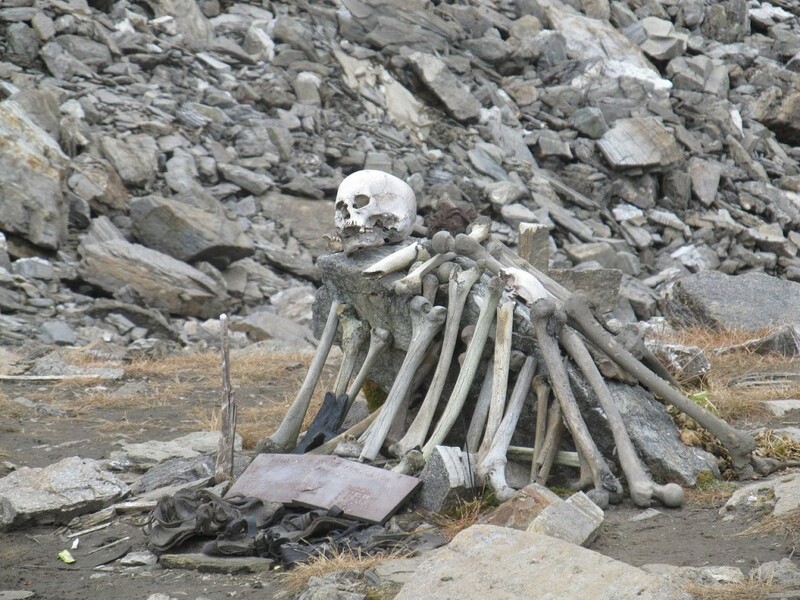 As goofy as it may sound but this glacial lake that lies in Uttarakhand has hundreds of skeleton at the base of it. The area where the lake is situated is mostly uninhabited as this is not conducive for human living and lies at an altitude of more than five thousand meters. The lake is surrounded by many glaciers as well as high rise mountains that are always covered with snow. However, the lake is a great site for trekking. 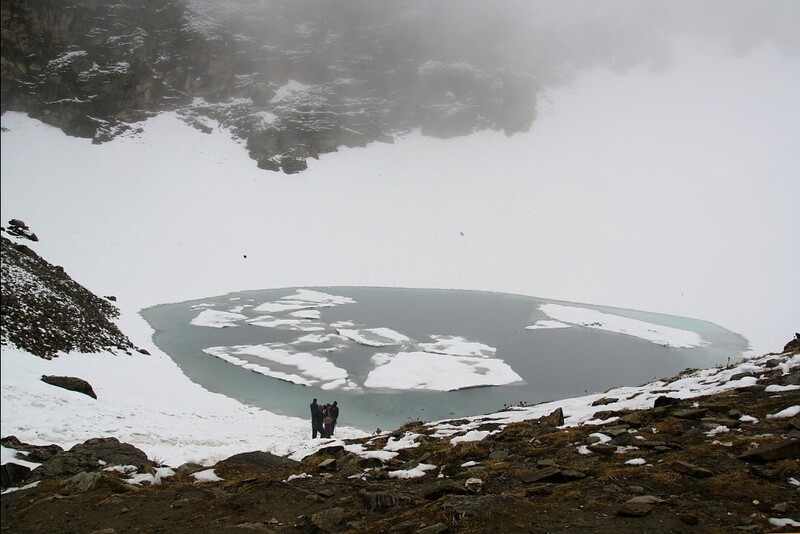 Roopkund lake caught the attention of the whole world when a ranger of Nanda Devi Game Reserve, H K Madhwal discovered human skeletons in the base of the lake when the snow melted. However, this was not the first time that reports of such recovery became public. In the late half of the nineteenth century there were human bones seen at the edge of the lake. This lake remains frozen all the year round except in the autumn when the snow melts and the base of the lake becomes visible. It I sat this time that one can see the skeletons, artifacts made of wood, different arms like spearheads, rings and many other things. Many skeletons that were discovered still had the flesh attached to them. Hundreds of samples taken from the site revealed that the skeletons belonged to somewhere around 900 CE and most of the DNA analysis showed the similarity with the people of Iran. This is astonishing. But this is just one study. Many other studies that were conducted later claimed that some of the DNA matched with the locals while the others matched with those of Konkanastha Brahmins called Chitpavans. The local legend says that Raja Jasdhawal who was the king of Kannauj along with many had gone on pilgrimage to Nanda Devi but unfortunately had to face a hailstorm which caused their death and this is why there are so many skeletons there. 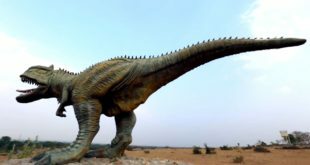 There is some determination regarding the type of people whose skeletons were present there but the reason why so many people went in such rugged terrain is a mystery in itself. This is no route of business but yes, this is the route on which people go to Nanda Devi Shrine where Nanda Devi Raj Jat festival is organized after every twelve years. May be people got trapped somehow in this place and died due to extreme cold conditions. There is a problem of people stealing the skeletons from the lake and taking them along with themselves. For this reason the government is thinking of making this a protected site. This lake is a very pretty place and many tourists who visit valley of flowers also visit Roopkund Lake. Also this is the important trekking destination as it forms the base of Trisul and Nanda Ghunti mountain peaks. Bedni Bugyal is the annual religious festival in which almost all the villages of the area take part. 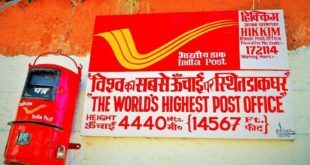 You can reach Roopkund via Ran ki Dhar or from Mundoli. You can also reach this lake via Kathgodam and Mundoli. Whichever way you choose the beauty of the place will just be mind boggling and you have the experience that is unforgettable. I like this information thanks for the sharing. 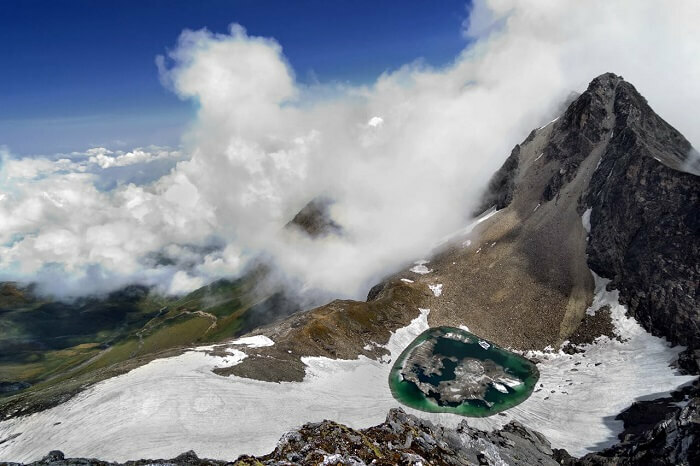 Excellent write up you capture the all Beauty of Roopkund in this article. These are amazing. Excellent location photography.